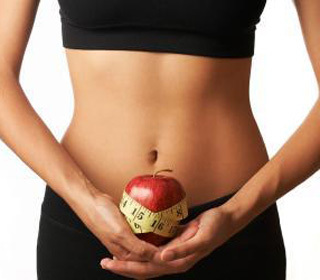 Weight loss will be affected mainly by food that your diet is centered around. It is a fact that certain foods help you lose weight more than others. On the other side; certain food choices literally inhibit weight loss while others can harm your health. Here are 5 most effective foods for weight loss that can fit easily into a healthy diet. Lean proteins are important to maintain muscle while losing fat. High fat proteins are not only bad for your weight and size but can be harmful to your health. It is also well known that highly processed meats are linked to certain health risks and diseases. Strive to eat wholesome, lean proteins like fish, chicken breast, turkey breast, flank steak or tempeh for vegetarians. Vegetables that are high in fiber tend to be low in calories. They also may contain high amounts of water that can be rich in minerals. The natural fiber can help you feel full, helping you to avoid over eating. It can also act as a natural cleanser of your digestive tract, clearing waste and debris that can add pounds and make you feel sluggish. Look for vegetables like cabbage, celery, and Romain lettuce. Spicy foods can be metabolism boosters, when use with a healthy weight loss diet. You can make dishes as home that are healthy, low in calories, high in nutrition and metabolism boosting. Stir fry dishes are popular, easy and delicious as they use plenty of fresh vegetables, lean proteins and spices like ginger, garlic and cayenne pepper. This combination can even help your body burn fat. While not a food, water is just as important as part of your weight loss diet. Water helps clear your body’s blood, lymph and even liver and kidneys. Do not make the mistake that soda can replace water for the sugar or side effects of diet soda counteract any amount of water contained. Drink clear, fresh water. Add a little fresh fruit juice, if you prefer a little flavor. Fresh squeezed lemon juice is known as a natural body cleanser that helps your body flush fat, clear waste and even can kill bacteria. Green tea is a dieter’s choice for those looking to lose belly fat. Research has consistently shown for years that those who added green tea to their daily weight loss diet lost more belly fat than those who didn’t. This may be why green tea is also related to healthy heart and reducing the risk of cardiovascular disease. While a healthy lifestyle creates a healthy body, your diet should be the focal point of a healthy plan. The foods you eat can help your body work more efficiently so it can drop the pounds. On the other hand, the foods you eat can clog your body so that it cannot run efficiently leading to weight gain, sluggishness and foggy mind. So choose your weight loss plan wisely and, as always, see your doctor if you take medications.